There is great importance of the karen Sarira in Spiritual world. Only yogi purush, Divya purush or an Avtari purush can realized and known about the importance of divine knowledge of this divine "Lightmaya Saria". Rohtas Kanwar is realizing this divine light in his life from the age of twelve years, since 1963. Karen Sarira appeared from BHIRKUTI of the Sathul Sarira and It can move here and there in moment in universe where He wants and returned to the same place. 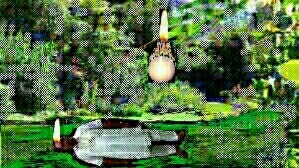 It is like a Light "JYOTE " and spread down divine light which showing with the help of a Image giving below.